Dillard’s is continuing its commitment to Ronald McDonald House Charities® with their 22nd annual holiday fundraiser. Since 1994, Dillard’s has supported RMHC in strengthening families during difficult times with a fundraiser — we are happy to announce for the eighth time, Dillard’s is offering a special custom edition of the Southern Living Christmas Cookbook to benefit RMHC. This exclusive, 288-page hardbound cookbook is filled with more than 250 recipes and dozens of decoration ideas for Christmas plus seasonal gatherings. This “can’t miss” cookbook is available for only $10. 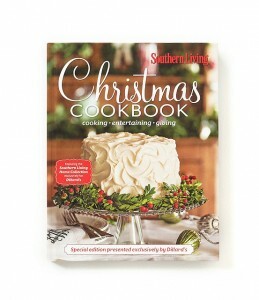 The cookbooks are available now in all Dillard’s stores nationwide, as well as online at www.dillards.com. Proceeds from the sale of the cookbooks will benefit Ronald McDonald Houses operated by RMHC Chapters just like our House here in Birmingham. Now in its 22nd year of support, Dillard’s has raised more than $12.3 million to benefit RMHC. “Our continued relationship with RMHC gives all of us at Dillard’s an enormous sense of pride. We look forward to another successful fundraiser this year and are honored to support the Ronald McDonald Houses in our communities,” said Denise Mahaffy, vice president of Dillard’s. If you cannot make it to the Huntsville, Montgomery, Dothan, or several other locations in Alabama or your state — order it online! 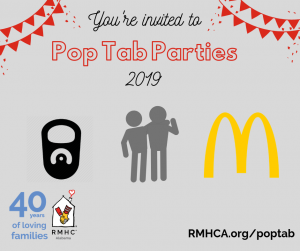 UPDATE: RMHCA will be at Parkway Place Dillard’s on Tuesday December 15th. Visit our Event for all the details!